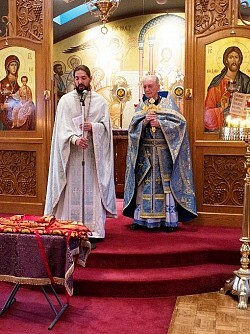 On Wednesday, November 22nd (the eve of Thanksgiving) the community of Christ the Saviour was especially pleased to welcome His Beatitude Metropolitan Tikhon, as well as clergy and faithful from our local Orthodox churches to offer the Akathist "Glory to God for All Things". 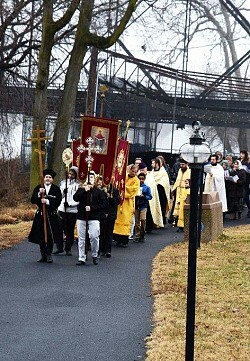 This Pan-Orthodox event is held annually, and rotates between each of our Harrisburg area parishes. 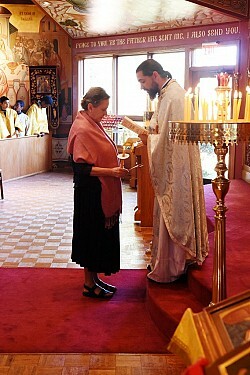 On Sunday, October 1st (Feast of the Protection of the Mother of God) our parish family welcomed Una McManus into the Catechumate of the Orthodox Church, and celebrated the Churching and first reception of Holy Communion of the newly Illumined child of God Theodore. May God grant them many years! 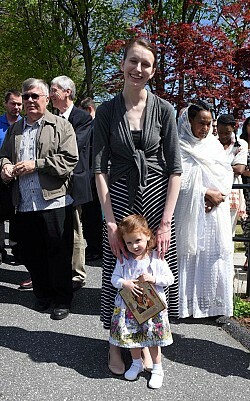 On Sunday, August 27 our community welcomed our new choir director, Rdr. Christopher Rakowski and his wife Martha. 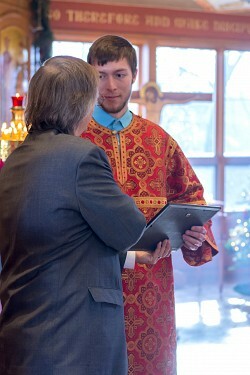 They are both graduates of St. Vladimir Seminary. Christopher brings over 20 years of directing experience, and both he and Martha are quickly becoming woven into the fabric of our parish family. We also welcomed Fr. 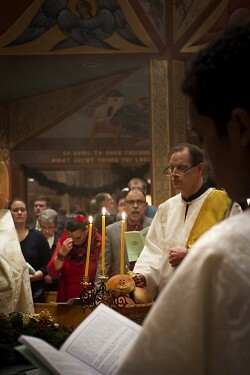 Vasili Hillhouse, pastor of Holy Transfiguration Greek Orthodox Church in Anchorage, Alaska. Fr. Vasili gave a beautiful homily, encouraging us to grow in a dynamic relationship with our Lord, Jesus Christ! This day also marked the annual commemoration of St. Phanourios, and we blessed a special bread in his honor (learn why - HERE). 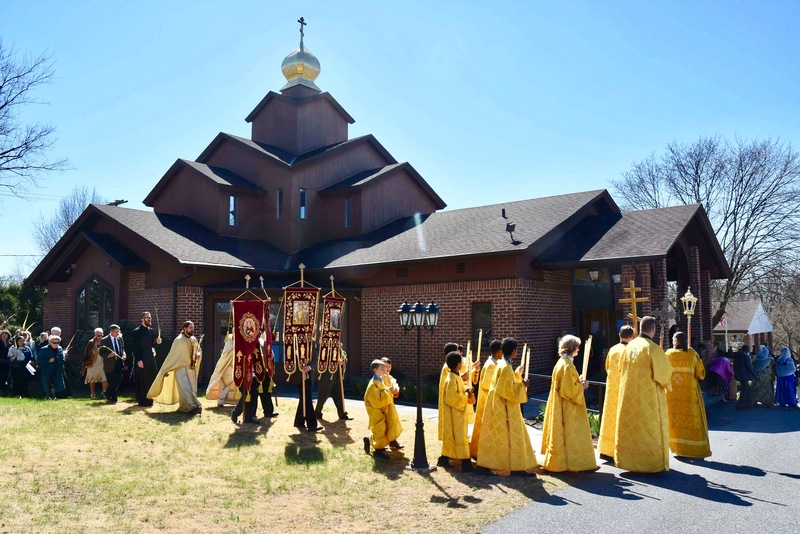 Finally, at the conclusion of the Divine Liturgy, our teachers and students gathered for a special blessing as they prepared to return to classes. May our Lord who inspires the heart and the intellect - guide them in their instruction and their studies; and preserve them as faithful followers of His commandments! 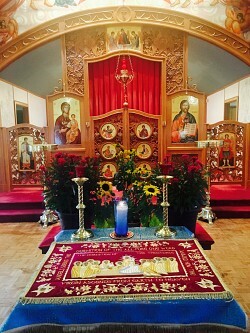 On Sunday, June 4th the faithful of Christ the Saviour celebrated the great and holy feast of Pentecost. 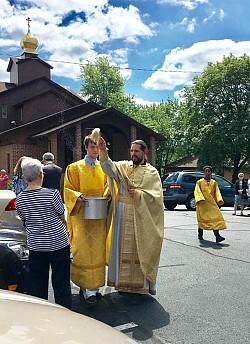 Before the Divine Liturgy Kenneth and Ita (Stephanie) Snyder were received into the Holy Church through the Sacrament of Chrismation - glory to God! May they be granted many years! We also welcome Bill Marianes (Stewardship Calling Ministry), who offered an inspiring homily on the awesome invitation we have been given to participate in the work of Christ through the gifts of the Holy Spirit. 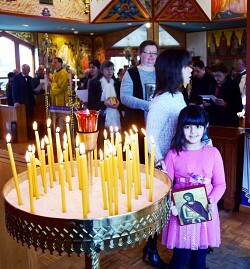 Following the Divine Liturgy and Kneeling Vespers of Pentecost we enjoyed our 5th Annual International Day. 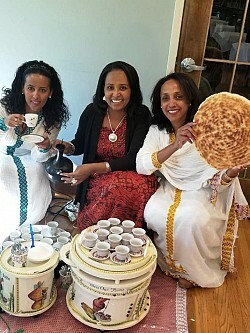 We were treated to the cuisine and aesthetic that comprise to our culturally diverse community - united in the Trinity, citizens of the Kingdom of Heaven! 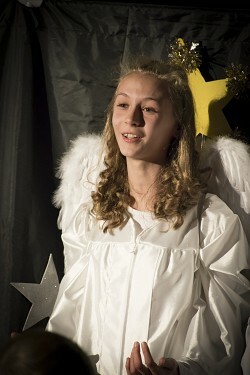 A special thanks to coordinator Angie DiFlorio and all of our parishioners who offered food this year! 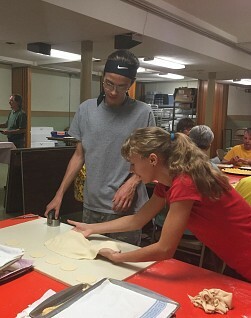 On Saturday, April 29th over 20 members of Christ the Saviour parish (Harrisburg) participated in a community service day with "Rebuilding Together Harrisburg" http://www.rtgh.org/. It was a wonderful time of service and fellowship as we served Christ through the homeowner (Mat. 25). 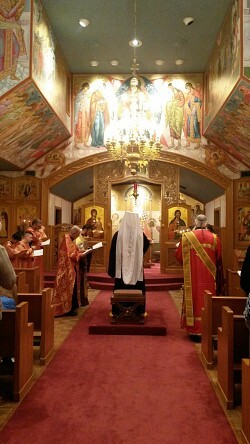 On Sunday, 23rd the community at Christ the Saviour celebrated our patronal feast - St. Thomas Sunday (Antipascha); At the conclusion of the Liturgy the clergy and faithful also made a Paschal procession and offered a blessing to commemorate our parish feast, as well as to bless the bell tower renovations completed by Vladimer Kellachow as part of his Eagle Scout project. A special thanks to our Men's Club who prepared a delicious meal to celebrate our Parish Feast. Following the River Blessing, the clergy and faithful gathered at Agia Sophia Coffeehouse and Bookstore (www.agiasophiaharrisburg.com) for fellowship and a soup/chili cook-off. Agia Sophia has donated over $26,000 to local charities in its 6 years of ministry/business!